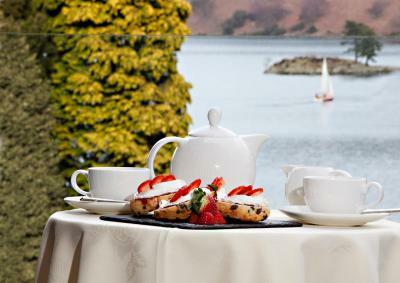 Lock in a great price for The Inn On The Lake - rated 8.9 by recent guests. 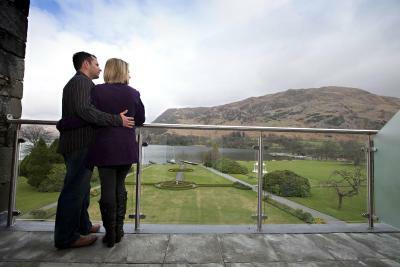 Superb location, lovely hotel, food & service was excellent. Good food, good ale, nice open fires, pleasant staff and most importantly my Jack Russells made welcome. We had 1 night in a Fell room then moved to a Lake view room for a further 3 nights there is a big difference. All the staff were friendly, chatty, welcoming and very professional. The place was spotlessly clean but the housekeeping staff were very discreet. The food in the restaurant and Orangary was lovely Grounds were amazing and views stunning In both rooms the beds were very comfy. In the Lake view it was an added bonus to have bath sheets and dressing gown and slippers. Plus the bed was larger. Breakfast selection was excellent. View from the dining room fabulous must look wonderful when it is covered in snow in the winter. We went away stressed, but came home chilled out. Stayed for three nights. Lovely view of lake and hotel grounds from our room. What a view to wake up to! Superb breakfast with plenty of choice, friendly staff, and so helpful too. Yummy evening meals - bbq brisket, suet pudding. Cooked to perfection. Queen-sized firm bed - just how we like it. Very clean hotel with traditional decor. Would most certainly stay there again, so recommend. 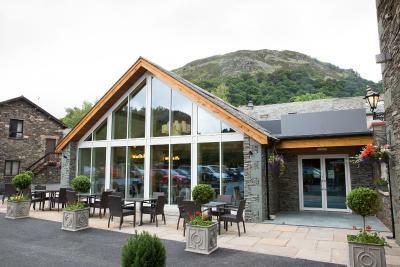 the location of the hotel is fantastic the veiws over the lake are super, the whole hotel feels relaxed and the staff are very helpful and freindly. 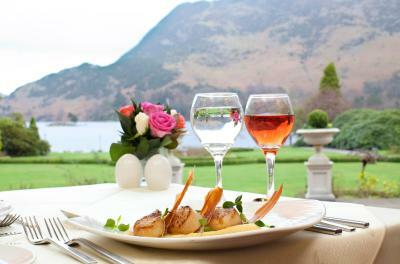 The setting of the hotel is splendid and all staff were especially helpful and friendly. The view was amazing ... was very comfortable room and staff very friendly! 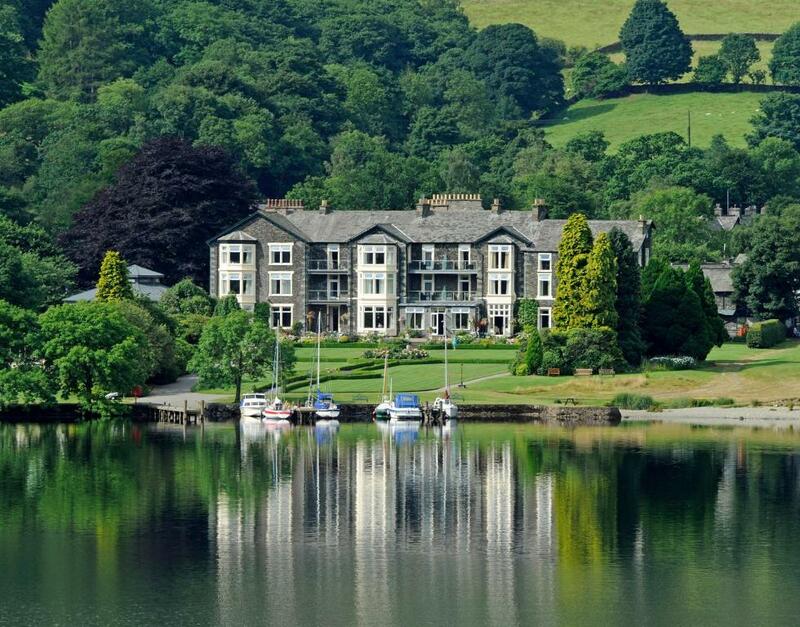 The 4-star Inn On The Lake has a 2 AA Rosette restaurant, and a gym, hot tub and sauna. 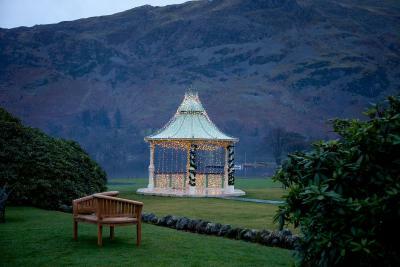 The hotel is in 15 acres of grounds, with lawns up to the shores of Lake Ullswater. 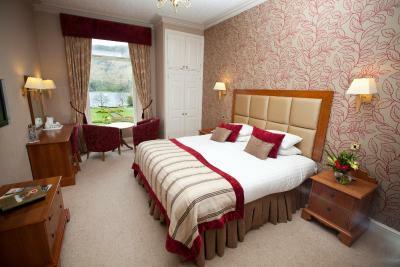 The Inn On The Lake offers stylish en suite rooms with Freeview TV, free WiFi and tea/coffee facilities. Some rooms have striking mountain and lake views. 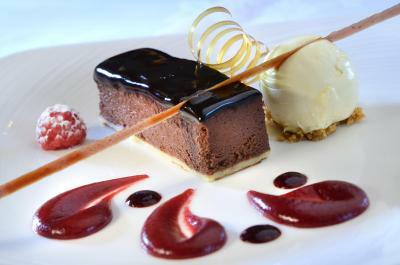 Awarded with 2 AA Rosettes, the Lake View Restaurant serves a fine menu using local produce. 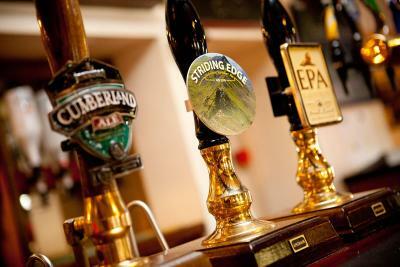 The Ramblers Bar and Candleroom serves real ales and food. 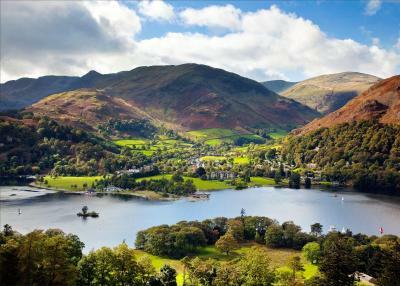 Set in the Lake District, Inn on the Lake offers a 9-hole pitch and putt golf course, a croquet lawn and 3 private jetties. 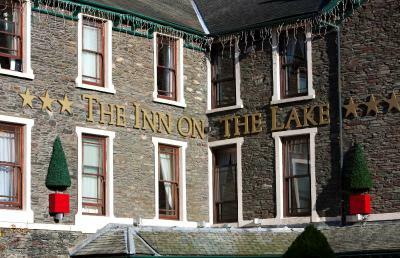 The Inn On The Lake has been welcoming Booking.com guests since 15 Jun 2009. 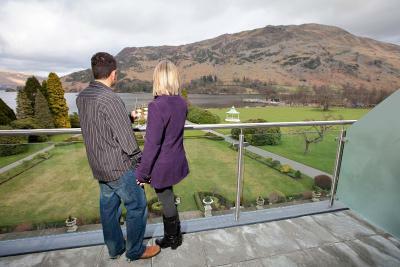 Good for couples - they rate the facilities 8.9 for two-person stays. 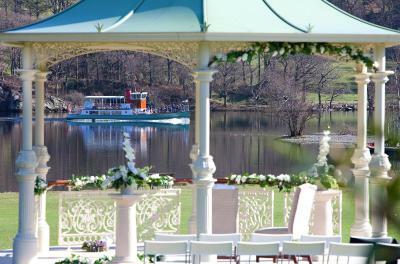 When would you like to stay at The Inn On The Lake? 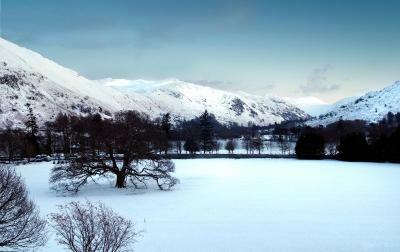 Fell View rooms overlook Helvellyn. This thoughtfully designed room features a flat-screen TV, a desk, tea and coffee making facilities, mineral water, direct-dial phone, free WiFi, as well as an en-suite bathroom with a shower over bath, hairdryer and Gilchrist & Soames toiletries. It features double or twin beds as required. 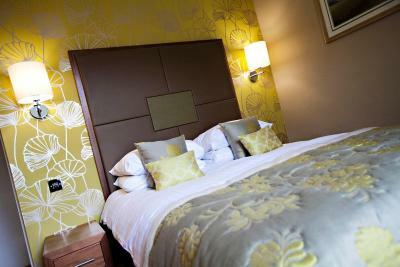 Some of the rooms are suitable for an extra bed for a small child. 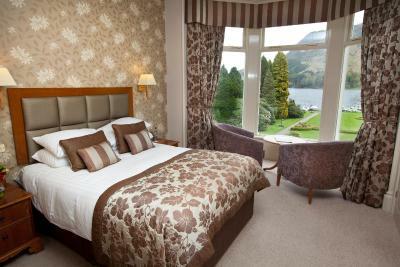 Spacious room with large windows overlooking Lake Ullswater. 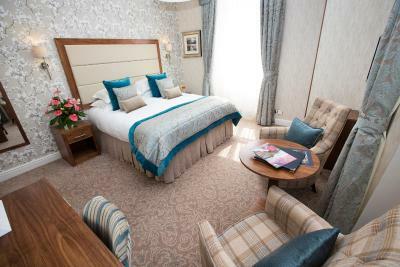 Features a double bed, a seating area, a flat-screen TV with DVD player, a desk, tea and coffee making facilities, mineral water, direct-dial phone, free WiFi, as well as an en-suite bathroom with a shower over bath, hairdryer, bathrobes and Gilchrist & Soames toiletries. 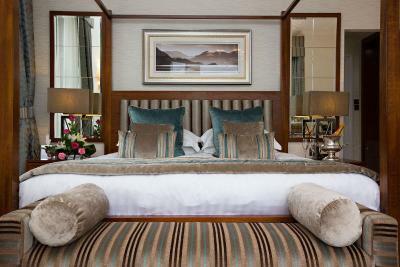 Some rooms have a four-poster bed, and some rooms have a king-size bed. Some of the rooms are suitable for an extra bed for a small child. 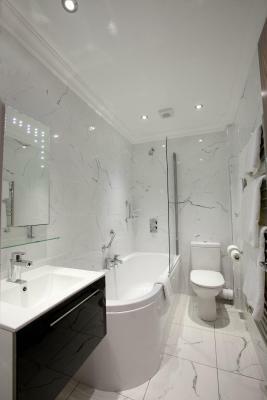 Features include a TV and tea and coffee making facilities. 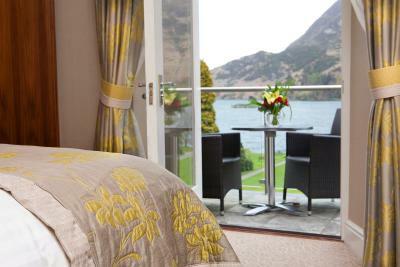 Large room with views of Lake Ullswater. This thoughtfully designed room features a flat-screen TV, a desk, tea and coffee making facilities, mineral water, direct-dial phone, free WiFi, as well as an en-suite bathroom with a shower over bath, hairdryer and Gilchrist & Soames toiletries. This thoughtfully designed room features a flat-screen TV, a desk, tea and coffee making facilities, mineral water, direct-dial phone, free WiFi, as well as an en-suite bathroom with a shower over bath, hairdryer and Gilchrist & Soames toiletries. Standard rooms are overlooking the courtyard and do not have a view. House rules The Inn On The Lake takes special requests - add in the next step! 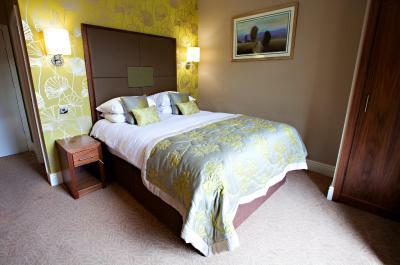 All children under 2 years are charged GBP 7.50 per night for children's cots/cribs. The Inn On The Lake accepts these cards and reserves the right to temporarily hold an amount prior to arrival. When booking 5 rooms or more, different policies and additional supplements will apply. 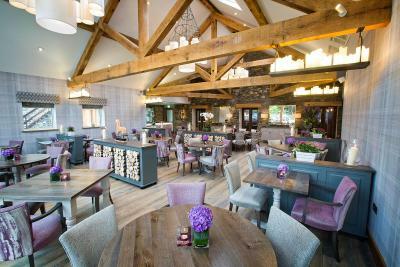 Not being able to use 2 of the bars on one night because it was being used for a wedding had we been told we would of changed our restaurant bookings the other way around as we planned the orangery on the first night but ended eating there again the next night not that it was bad food because we couldn’t fault the food . could have been more leisurely. The Ramblers Bar wasn't open during our stay. A safe in the room Locking the door was a bit tricky it was easy to turn the key walk away thinking the door was locked when it wasn’t. Two slight food poroblems one evening I had the Lamb Shank when eating in the Orangery and no Mint Sauce could be found! Another evening I ate in the Ramblers Bar and the Ceaser Salad came without any Parmesan Cheese on top. 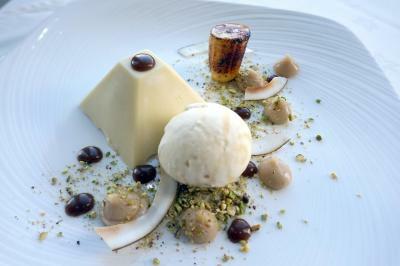 I think the Head Chef should look at these omissions as this is basic cookery. All food and service was otherwise excellent. Had expected a different menu each day in restaurant, but it was the same. Still plenty of choice though. The weather! We realise control of this factor may be somewhat beyond your’s or anyone’s talents!